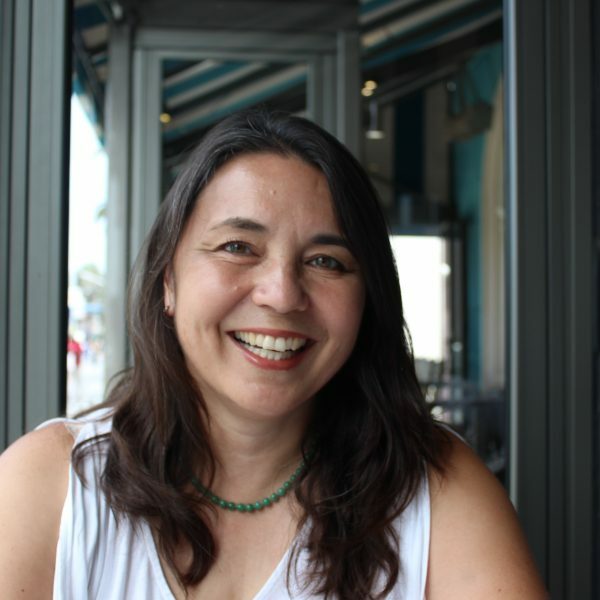 Cynthia Strathmann is the Executive Director of SAJE (Strategic Actions for a Just Economy), a nonprofit that builds community leadership and power for economic justice by fighting for tenant rights, healthy housing, and equitable development. She came to SAJE from the Los Angeles Alliance for a New Economy (LAANE), where she researched ways to increase energy efficiency in homes and businesses with the RePower campaign. Before that, Strathmann was a Research Professor at USC where she managed a National Institutes of Health funded study of South LA families and health disparities. Strathmann holds a bachelor’s degree in Anthropology and Biology from the University of California, Santa Cruz (UCSC), a Ph.D. in Anthropology from the University of California, Los Angeles (UCLA), and completed postdoctoral work at UCLA’s David Geffen School of Medicine. Strathmann’s academic research has focused on the co-construction of systemic social inequality through economic and cultural activities. Prior to beginning her doctorate, Strathmann worked at a natural history museum – the California Academy of Sciences – supporting work in invertebrate and diatom systematics. Strathmann sits on the national Right to the City Alliance Steering Committee, the California Automobile Assigned Risk Plan (CAARP) Advisory Committee, and is a Fellow of the Society for Applied Anthropology.